Making subtle changes to your breathing can have a big impact on your exercise regime. Not only can it prevent future complications, you’ll also improve endurance and get the most from your workout. We’ve put together some helpful tips to ensure proper breathing for the most common exercise types. Running, biking and swimming are all forms of cardiovascular exercise which quickly increases the body’s demand for oxygen. It’s important to breathe deeply whilst remaining as relaxed as possible. Many people make the mistake of inhaling from their chest which creates short, shallow breaths. Diaphragmatic breathing is widely recommended for more efficient oxygen delivery when it’s needed most. Learning this technique often takes some practice, best done in a relaxed state. Lie flat on your back and place a book on your stomach. As you relax your abdominal muscles, take a long inhalation, focusing on taking the breath as deep as possible. Here you’re trying to concentrate on the book rising and falling as opposed to your chest. It can take some time, but you’ll eventually become more conformable using this technique whilst exercising. Many amateur weightlifters have a tendency to hold their breath during exercise. It’s a common mistake which can limit oxygen to the brain, causing increased blood pressure and dizziness. There’s never a good reason to stop breathing during exercise.Whether you’re pulling or pushing the weight, it is important to exhale on the hardest phase of the lift. As your returning to the start point, take a deep breathe in. Once you implement this into your daily training, it will soon become a habit. Stretching after your workouts or including yoga as part of your regime is a great way to avoid injury and relax the body. It can also improve flexibility which is only possible through correct breathing. It is recommended to take a deep inhalation during the stretching phase of the movement. It is advisable to breath in through the nose and out through the mouth. As your progress through the stretches try to relax further into the movement, slowing your breath to a controlled rate. If you’re still struggling with your breathing during exercise, it may be a lifestyle factor that can easily be resolved. Many smokers’s find breathing more difficult during strenuous activity. 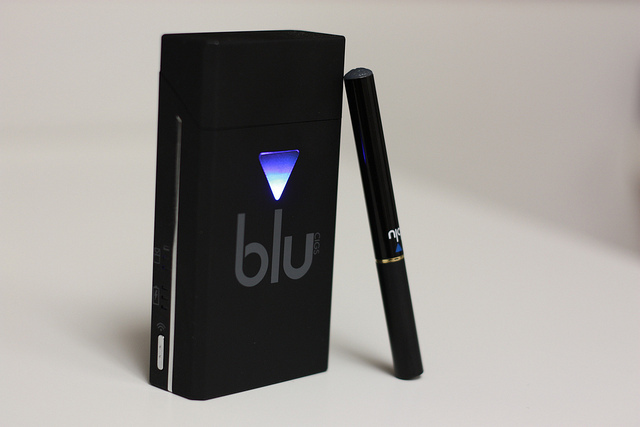 If this is the case, consider giving up traditional cigarettes and switching to a blu e cig. They contain none of the harmful chemicals or tobacco, producing vapour instead of smoke, however, they still satisfy smokers by giving them the comforting action of inhaling and exhaling with the all important nicotine hit. This can improve lung capacity and make a considerable difference to your workout. By following these simple steps, you will find your workouts and your breathing greatly improved, making it a more enjoyable experience and allowing you to increase your stamina and keeping you fit, healthy and active. Images by Lindsay Fox and Chris Hunkeler used under the Creative Commons License. The point about smokers having breathing problems during intensive activities is perfectly placed at the tight spot. Lot of people are in denial but it’s very obvious just after any strenuous activity ..